Owners of condos and homes in San Diego are turning to the short sale process to get their property sold. If you look carefully, you will see a sharp decline in the number of available foreclosures for sale in the MLS. This decline does not mean that the San Diego real estate market is seeing a recovery. When we look closer, we see that as the number of foreclosures decline, the number of short sale listings are on the rise. Why are sellers choosing to short sale? A short sale does less damage to your credit score. A short sale often attracts a higher offer than a foreclosure. The banks treat you more fairly because they see that you are trying to work with them. Someone who does a short sale is qualified to purchase another property faster then if they had a foreclosure on their record. Short selling allows you to be represented by a real estate professional versus going through the foreclosure process all alone. The list of advantages of a short sale versus a foreclosure is long. These are just a few reasons why sellers are going this route. If you are having challenges in making your payments then we advise that you learn more about short selling. Banks have approved more short sales in the past few months then before, and we believe this trend will continue. At APEX Realty, we have represented sellers in bank negotiations. 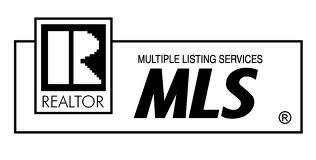 We represent the seller...not the bank. Below are the properties in San Diego that are currently available as short sales. If you are interested in the purchase process, we can help make the process as fast and problem-free as possible. Give us a call and let us know what catches your eye. This is in Probate and currently waiting on Short Sale approval. No Showings of property at this time.